Collyer Bristow has signed terms to establish a claimant group with a compensation claim worth at least £100m on behalf of truck users that have been overcharged by a pan-European price fixing cartel. In July last year the European Union fined commercial vehicle manufacturers almost €3 billion for price fixing. Four manufacturers were fined: Volvo/Renault, Daimler, Iveco and DAF. MAN, which revealed the existence of the cartel to the commission, was not fined. The law firm is targeting a small number of larger claimants in a group action claim, unlike the RHA who are taking collective actions aimed much larger number of claimants. It reckons that companies which own fleets of vehicles could be entitled to compensation worth around £7,800 per truck, based on current estimates. Other companies which do not own trucks but instead outsource their transport needs to third parties will also be entitled to damages. 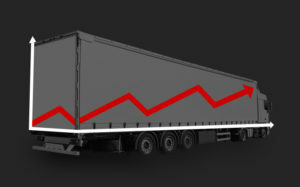 “Firms that acquired new medium or heavy-duty trucks between 1997 and 2011 almost certainly have a case for compensation, whether they bought the trucks outright, on hire purchase or leased them directly from a manufacturer or from a supplier,” said Stephen Critchley, head of competition law, Collyer Bristow. “Other firms which do not operate their own truck fleet but outsource their transport needs to third party hauliers could also be entitled to make a claim. “As well as fixing prices, the truck cartel conspired on the timing of new emissions technologies, so it is possible that fleet owners and users incurred extra running costs, too. The compensation claims could run to billions of pounds. In addition to working with Vannin Capital, Collyer Bristow will be working with London Economics to help quantify the damages and two leading competition barristers to represent companies unfairly overcharged for vehicles.